This time last year, heckled by a thin man in a plaid shirt and a cowboy hat with a swagger and his loudmouth Australian sidekick going through security at Halifax Stanfield Airport, I unknowingly joined the Steve Poltz circus. Just after passing through security, Poltz and his longtime friend Dean Gifford, who was then acting as his tour manager, kept crying out, and I thought—who are these obnoxious fools? 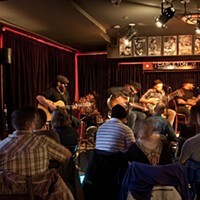 The duo had just got in from Newfoundland, Poltz performed at The Ship the night before, and coincidently, they, too, were Toronto-bound. Naturally, we were on the same flight, and February saw flight delays. We made the most of our time at the gate, and they made sure I was entertained—taking photos with strangers, telling tall tales of life on the road, and even serenading with an acoustic guitar. Gifford has flown halfway around the world to see Poltz several times, sometimes fulfilling tour duties, other times as an excuse to catch his annual sold out birthday bash with The Rugburns in San Diego, where Poltz holds a postal code. 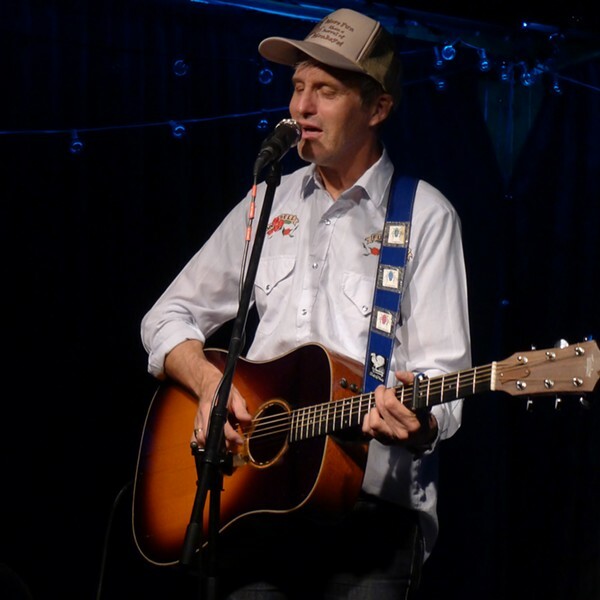 Last night’s show at The Carleton was the first time Poltz had performed in the East Coast since he suffered a minor stroke on stage last October, and he shone with his boyish antics. Again, Gifford came along for the journey all the way form Australia. The thing about a Poltz show,it’s all fair game, he takes keen-eared listeners on a journey, whether it’s waltzing down memory lane, to the early '90s when he used to date Jewel, and co-wrote “You Were Meant For Me,” which they finished writing in Mexico, later finding themselves on a major drug bust, or talking about his aunt and uncle who live outside of Halifax, you leave the room with a feeling that you’re a part of something. He’s a wild card storyteller. One moment, charming with songs like “Silver Lining” and offending audiences in the next breath with “Chinese Vacation,” Poltz offers deep belly laughter, tears and unabashed heart. 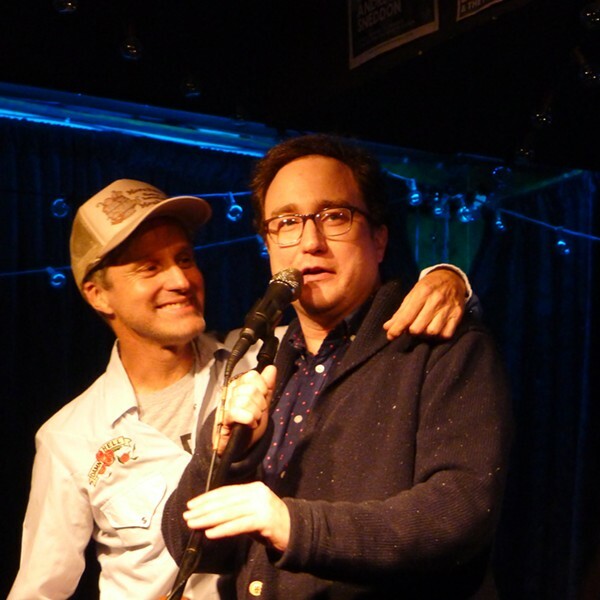 Comedian Mark Critch joined Poltz on stage, and treated the crowd to a 10-minute stand up routine.